Saturday Morning Update is a weekly series where I talk about my adventures in geek life from the previous week. Read on to find out a little bit more about what I did this past week, including what I watched, read, and played. This was my birthday week, but we didn't do anything special. I did finally get myself a tablet - oh it's so good I may never touch my phone or computer again! Since my birthday feel on a week day there wasn't really much I could do anyway. I'll make up for it in the coming months for sure. The first episode of the new FLCL season premiered last weekend. I had no idea it was so soon! Katrina had no idea what I was on about so I showed her the first episode on the questionably officially licensed DVD I picked up at a con like 15 ten years ago. She wasn't into it, but I finished a full rewatch of the crazy-weird anime series. There is so much going on in every second that I actually learned some new things about it this time around. I highly recommend it! You can get a definitely 100% official release of the whole series here. Viz Media sent me a copy of The Thousand Year Beach, the new novel by Tobi Hirotaka. It takes place in a virtual reality vacation resort that hasn't had a human guest in over a thousand years. Since then, the AI residents of the Realm have been left alone to create a new society of their own. One day, monstrous Spiders appear in the virtual world and start devouring everything in site and the AIs fight back to save their world. It's pretty good so far, unlike anything I've read in a long time. It comes out on June 19th - I should have a full review of it before then - and you can pre-order it here. I mentioned last week how I picked up Saints Row IV again. I beat it this week, which happened so quickly do to some DLC powers that came with the special edition. It is so much fun I love it! I really wished it would've gotten a real sequel instead of the travesty that was Agents of Mayhem - although I was starting to see some of the flaws that would carry over into that train wreck. 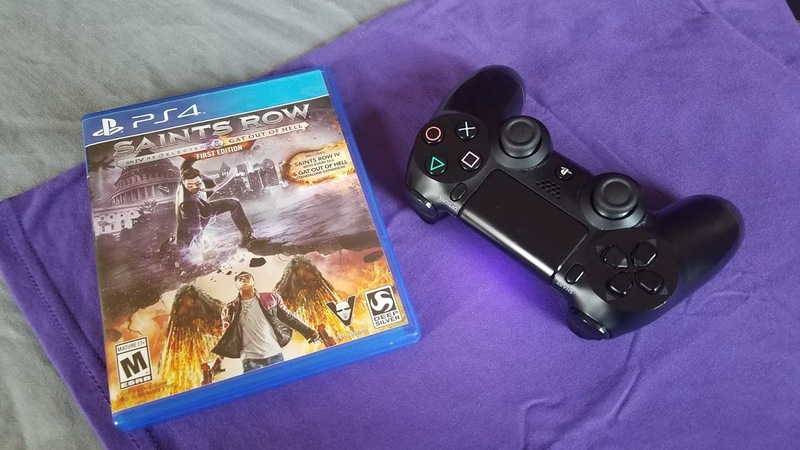 I'm going to play Gat Out of Hell next and then probably go back and play the first Saints Row, which I've never played before. Get a copy of the Re-Elected edition for yourself here. What have you been up to this week? What are you doing next week? Let me know in the comments below!